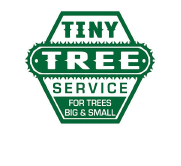 After a tree has been removed from your landscape, the job may not be 100% complete. There is that stubborn frustrating stump still left in its place. Although it may not seem like a big issue at first, stumps can cause a lot of headache. Beyond just being aesthetically unappealing, they tend to get in the way and cause other long term problems. No need to worry, we can help you get rid of that frustrating stump. 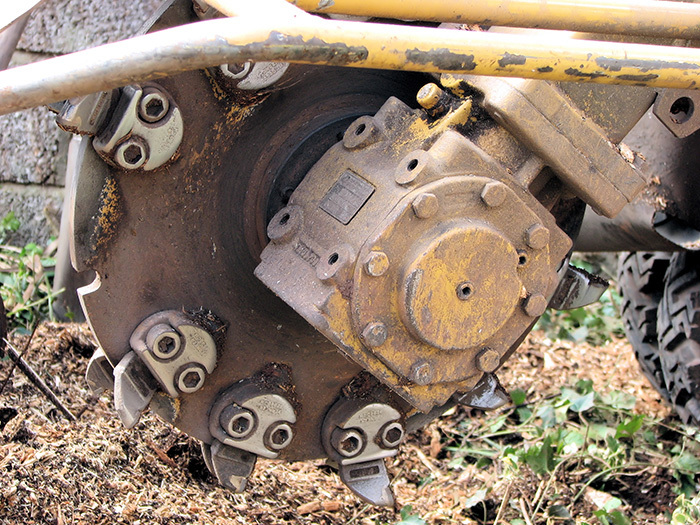 Removing a stump takes special equipment that’s not usually just laying around in your garage. So, if you are looking to have one or many stumps removed from your property, just give us a call. We can remove it quickly and leave your landscape looking fresh and renewed. After a tree is removed at the lowest possible cutting point, there is often a large protruding stump left in the ground. This is simply because a saw can only get so close to the ground while still operating safely. A stump that’s sticking out of the ground present hazards for you and your lawn equipment. If the stump is left in the ground, it presents a tripping hazard which may lead to injury. Stumps can also cause damage to your lawn mower. Smaller stumps that can be run over by a lawn mower may cause damage to the blade and other costly mechanical parts. Beyond being a tripping hazard and causing damage to your lawn maintenance equipment, stumps can attract unwanted insects and pests. 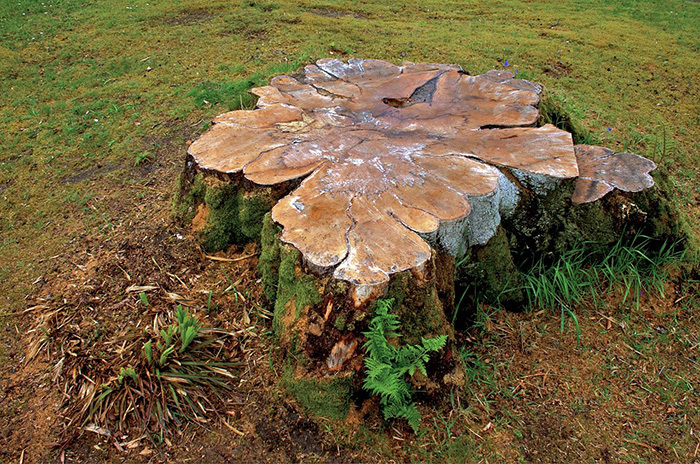 A rotting stump that’s left in the ground can attract beetles and even termites. It may not seem like much of an issue at first but if these insects get into your home, they can cause much more serious damage. In the long run, it’s always much easier to just have the stumps properly removed. We have the tools and experience to remove any stump. Just give us a call and we will be there to help you out.